But what if it doesn't work? As if it’s possible to guarantee success before putting yourself out there. A-students like us can get trapped wanting to know something will work before we try it. I’ve said before how much I love being graded, but only wanted to do something if I could guarantee the A. Otherwise why bother. The only way any of us is succeeding is by doing. And doing those things again and again so customers, readers and colleagues know we’re serious and can count on us. Then they buy, read, share, promote, trust you. So when the “but…” questions arise, let these words from We Are Awe help you keep moving. Start. Then do it for a full week, then a month. The guarantee your fear is looking for comes in the doing consistently and courageously. Only then will you know if it works, or if something even better presents itself. Ready to leap? Start on Sept 26! Tired of thinking about it? Wondering if this is the right time? Trying to figure out how you’ll know? Let’s finally do something about it. 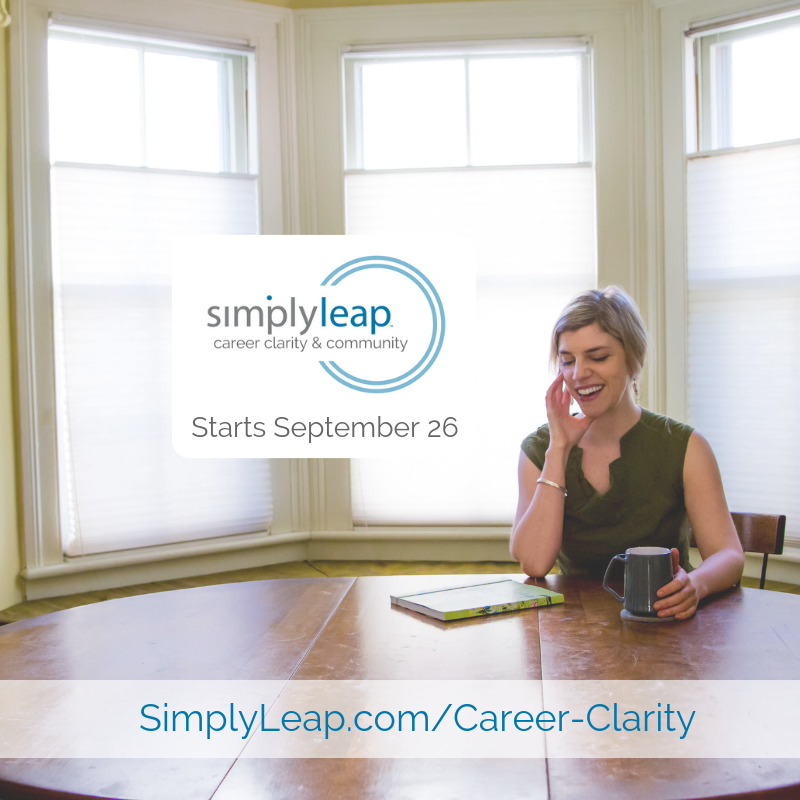 My super-special circle of leaping support launches on Wednesday, September 26. It’s Career Clarity & Community, a FOUR MONTH program of live video sessions, plus worksheets, recordings, and the structure and accountability you know help you make major progress. The kind of change you’ve been wanting for a while. Join a group of 10 like-minded women from across the country using my proven step-by-step approach to create work you love and be paid well for it. We’ll get you there together. Apply by Sunday, Sep 23 to be chosen. Want to talk it through first? Schedule a call to see if this is right for what you need. You don't want to look back a year from now and be in the same place you are now. I would love for you to be part of this.